Read Datasheet of ISP1761/USB 2.0 Spec./EHCI 1.0 Spec, go to NXP/Intel/USB org website get documents. Check schematic and inteface to PXA27x. cowork with HW engineer. Suspend/Resume issues, How to reinitialization HCD driver on WinCE 5.0 platform. Now, start step 1 at June 15 2007. The registry settings for each USB function client driver are in the %_WINCEROOT%PublicCommonOAKFilesCommon.reg file. To modify these settings for your hardware platform, add the registry keys you need to alter to your hardware platform’s Platform.reg file. The Platform.reg file for each platform is in %_WINCEROOT%Platform%_TGTPLAT%Files. Registry keys placed in Platform.reg override matching registry keys in Common.reg. Note For all USB function client drivers, in the Platform.reg file for your hardware platform, appropriately update the default Manufacturer and Product strings. 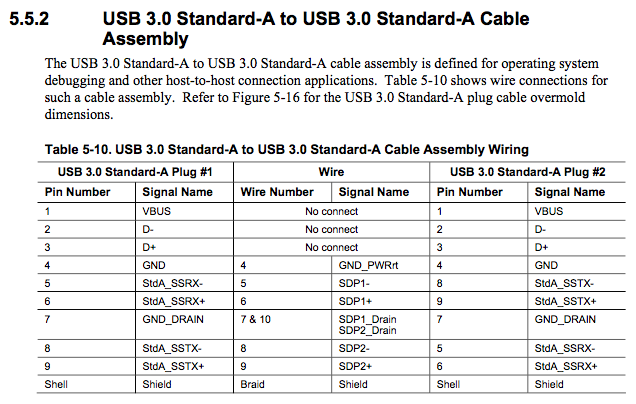 The following table describes the USB function client driver registry settings common to all USB function client drivers. The USB function mass storage client driver registry settings are under [HKEY_LOCAL_MACHINEDriversUSBFunctionDrivers]. DefaultClientDriver Use to specify the default client driver. USBFunctionDriverSubkey is a placeholder string that represents a client driver. Specify a DefaultClientDriver for each type of USB function client. USBFunctionDriverSubkeyDll DLL name for the USB function client driver. USBFunctionDriverSubkeyDeviceName Identifies the name of the store to expose to the USB host. USBFunctionDriverSubkeyFriendlyName Friendly name for the USB function client. USBFunctionDriverSubkeyidVendor idVendor must be changed. 045E belongs to Microsoft and is only to be used for prototype devices in your labs. Visit http://www.usb.org to obtain a vendor identifier. USBFunctionDriverSubkeyManufacturer Name of the USB function client device manufacturer. Replace appropriately. USBFunctionDriverSubkeyidProduct Product identifier to be defined by the manufacturer. USBFunctionDriverSubkeyProduct Name of the USB function client device. Replace appropriately. USBFunctionDriverSubkeybcdDevice USB device’s release number, in binary-coded decimal (BCD) format. The following table describes the USB function mass storage client driver registry settings. The USB function mass storage client driver registry settings are under [HKEY_LOCAL_MACHINEDriversUSBFunctionDriversMass_Storage_Class]. InterfaceSubClass USB host uses this value to identify the class of an enumerated device. 06h corresponds to the USB mass storage client. InterfaceProtocol USB-IF defined value that the USB host uses to determine the USB mass storage transport protocol supported by the device. 50h corresponds to bulk-only transport (BOT). The following registry keys show the default USB function mass storage client driver registry settings. "Manufacturer"="Generic Manufacturer (PROTOTYPE--Remember to change idVendor)"
"Product"="Generic Mass Storage (PROTOTYPE--Remember to change idVendor)"
The following table describes the USB function serial client driver registry settings. The USB function serial client driver registry settings are under [HKEY_LOCAL_MACHINEDriversUSBFunctionDriversSerial_Class]. DeviceArrayIndex Use to load different USB function serial client driver objects. The following registry keys show the default USB function serial client driver registry settings. "DeviceArrayIndex"=dword:0 ; Use to load different USB function serial client driver objects. ; prototype devices in your labs. Visit http://www.usb.org to obtain a vendor id. "Product"="Generic Serial (PROTOTYPE--Remember to change idVendor)"
The following table describes the USB function RNDIS client driver registry settings. The USB function RNDIS client driver registry settings are under [HKEY_LOCAL_MACHINEDriversUSBFunctionDriversRNDIS]. UseActiveSyncIds If this value is set to anything besides zero (0), RNDIS sets the Device Class, Device Subclass, and Device Protocol codes in the USB device descriptor and interface descriptor to the values recognized by ActiveSync on the desktop computer. If this value is not in the registry or is set to 0, the standard communication class values are used. For Pocket PC and Smartphone, this value is set by default. Priority256 Determines the priority of incoming packets for RX thread processing. The following registry keys show the default USB function RNDIS client driver registry settings. For information about the RNDIS client driver specific registry settings, see RNDIS Registry Settings. "Product"="Generic RNDIS (PROTOTYPE--Remember to change idVendor)"